The ADI-2 is a both compact and extremely flexible 2-Channel Hi-End AD/DA-converter. The small 9.5" unit offers top notch AD/DA-conversion from/to SPDIF, AES and ADAT, at up to 192 kHz. 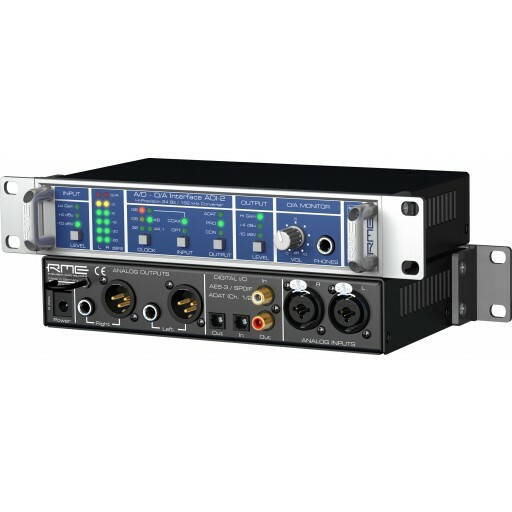 Its ability to use SPDIF, AES and ADAT format provides outstanding compatibility. Whatever it is - simply get connected! Key features of this extraordinary flexible converter are balanced inputs and outputs, monitoring via headphone out, SteadyClock for optimal converter quality, 3-stage hardware input and output level control, and its capability to run on a wide range of power supplied.